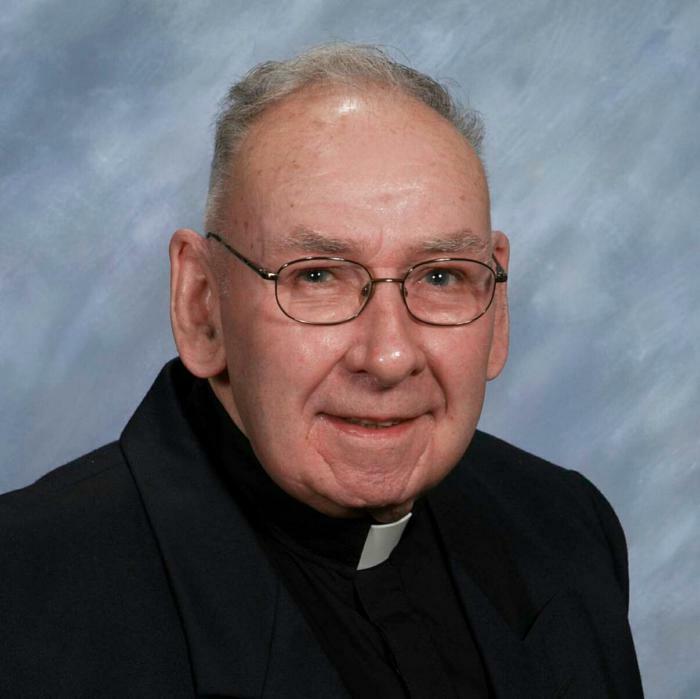 Obituary: Father James J. McGowan, former Belmont pastor. Published 9/14/2018. Obituary. The beloved former pastor of the now shuttered Our Lady of Mercy Parish in Belmont, Father James J. McGowan died at Regina Cleri Residence in Boston on Aug. 31, 2018. A Woburn native, he was born on Feb. 23, 1936, one of the seven children of the late James. And Margaret (Boyle) McGowan. He attended local schools and was an alumnus of Boston College. He attended St. Philip Neri School in Boston prior to entering St. John's Seminary as a member of the Class of 1962. 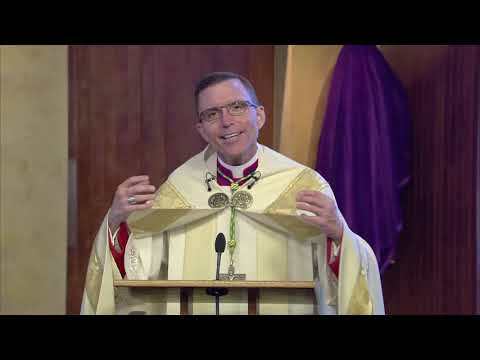 Following his seminary studies, he was ordained to the priesthood at St. Margaret Church, Lowell by auxiliary Bishop Thomas J. Riley. 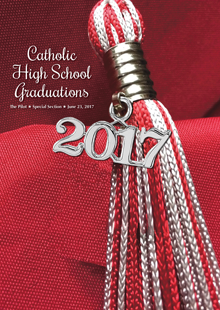 The Class of 1962 was so large that there were four ordination Masses on Feb. 2, 1962: At the cathedral, with Cardinal Cushing ordaining; At St. Catherine of Siena, Norwood with Bishop Minihan; St. Stephen, Framingham, with Bishop MacKenzie and the Lowell ordination with Bishop Thomas Riley. 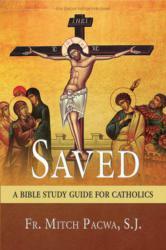 Cardinal Richard Cushing gave him his first priestly assignment as an assistant at Sacred Heart, Weymouth (1962-1969). The cardinal subsequently named him as an assistant at Our Lady of Lourdes, Revere, (1969-1970); the parish in the Beachmont section was famous because as the priests assigned there told it, the rectory was under a landing pattern for Logan Airport and you could "almost stand on the rectory roof and reach the landing gear." In 1970 he was named an assistant at St. Thomas Aquinas Parish in Nahant. Humberto Cardinal Medeiros named him associate at St. Theresa of Avila in the Hub's West Roxbury section in 1973 and he served there until 1981. Merrimack Regional Bishop Robert Hennessey recalls that he was well liked by the people of the parish. Father McGowan was at the bishop's home parish for much of the bishop's seminary career. After St. Theresa he became associate at another St. Thomas Aquinas this one in Bridgewater (1981-1985). Cardinal Medeiros named him pastor at Our Lady of Mercy in Belmont in July 1985 and he served there until the parish was closed in 2004. A former parishioner of the parish, now living in Medford, Alan O'Brien said to The Pilot "He was a great priest. Very attentive to the needs of the parish. And, he had a wonderful sense of humor....very dry." Father McGowan had a great reputation among area funeral directors; they could not pin down a parish for a funeral, if they could ALWAYS call Our Lady's and inevitably the funeral could be scheduled there. Father McGowan also welcomed student priests, many of them attending Boston College. The rectory was spacious enough and off the beaten path so it was always quiet. A good spot for a student. From 2005 to 2010 he was parochial vicar at Sacred Heart, Quincy, where he served until he was granted senior priest/retirement status. He lived at Regina Cleri Residence in Boston. North regional Bishop Mark O'Connell was the principal celebrant of Father McGowan's Funeral Mass at St. Mary Church, Winchester on Sept. 8. Father George Emerson, a fellow resident at Regina Cleri was the homilist. Father McGowan's immediate survivors are two sisters: Charlotte, Woburn and Virginia Kazazian, Reading. Following the Funeral Mass Father McGowan was buried in Calvary Cemetery, Winchester.